The Hornsby area, with its open parklands and bushwalking trails, is truly an excellent place for people who love the outdoors. You can spend the day in the Berowra Waters or have BBQ with the family at Fagan Park or take a bush walk at the Kuring-gai Chase National Park. So why not take advantage of the lovely surroundings by sprucing up the outdoor areas of your home too? Get a lovely patio area, a new deck, or a sunroom and open up your living space. It’s time to call the professionals at Urban Exteriors. Urban Exteriors are experts at designing and building patios, pergolas, decks, and sunrooms. With 40 years experience, we provide professional services turning your outdoor areas into your dream living spaces. Our team is composed of highly-qualified individuals who have years of experience in the trade. 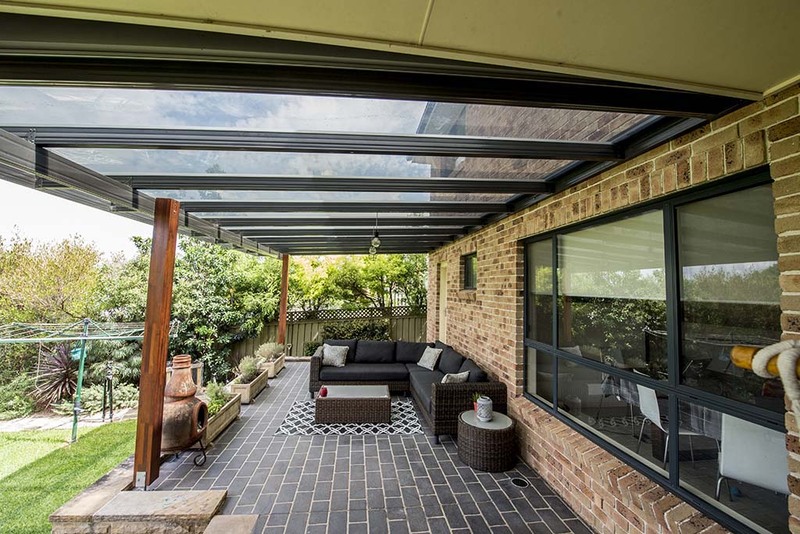 Add more space to your house and embrace the outdoors at the same time by creating a stylish patio area and adding a pergola. Check out our Signature Range for inspiration. We only use the highest quality materials for our patios and pergolas which we source from established partners we know and trust. On top of that, we add a 10-year warranty on our projects. We all love decks and want them easy to maintain. So if you appreciate having low maintenance decks, then the HardieDeck solution is best for you. The HardieDeck can withstand harsh environments. You need not worry about the sun, rain, and regular staining and repairs as with timber decks. This decking solution is highly-recommended. Now if you want to stay inside the house and still have a great view of the outdoors, we can design and build sunrooms or glass enclosures for you. The sunroom can be utilised as your home office or entertainment area, among others. A sunroom, also called conservatory, adds curb appeal to your home without a doubt and raises the value of your property. To learn more about how you can transform your outdoor space, call Urban Exteriors today and talk to a design consultant.